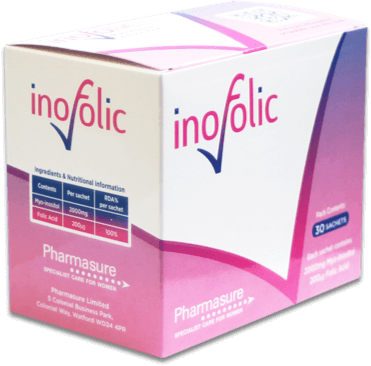 Inofolic improves the fertility and general health of most women when taken for at least 3 months. It is often recommended for women with polycystic ovary syndrome (PCOS), diabetes in pregnancy and metabolic syndrome (MetS). It works by reducing testosterone, insulin, weight and cholesterol levels in your body. In women with PCOS, it usually leads to a sharp increase in ovulation rates. Inofolic may well enhance your health and quality of life throughout your life. Our environment is full of agents that can damage or stress the cells in our bodies. This is especially true for sperm. The DNA in sperm can be damaged by agents in the environment. 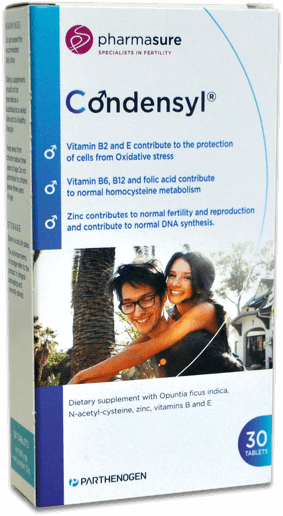 Condensyl is taken by the male partner as it provides the ideal mix of nutrients to encourage cells to produce natural antioxidants, which help to improve the quality of the DNA in his sperm. Because Condensyl uses the body’s natural antioxidant capacity, it does not cause the problems associated with strong antioxidants such as Selenium, CoQ10, Vit A, Vit C and Vit E. This is why Condensyl is clinically proven to give men a really good chance of becoming a father.